The term “masonry” refers to construction with stone. Masonry is the building of structures from brick, stone such as marble, granite, travertine, limestone; concrete block, glass block, stucco, and tile laid in and bound together by mortar. The materials used, the quality of the mortar and workmanship, and the pattern in which the units are assembled can significantly affect the durability of the overall masonry construction. Dry masonry is masonry which is put together without mortar. Technically, masonry consists of blocks which are attached to each other and supported with mortar, so one could question the use of the term “dry masonry,” but it is generally accepted. Cement mortar is a building compound created by mixing sand and a selection of aggregates with a specified amount of water. Hardscape projects often employ mortar as the binder between bricks in walls, fences, and walkways. Sometimes referred to as sand cement, mortar blends today often incorporate different grades of plastics to create various types of polymer cement mortars. Mortar has been used for centuries as a means of adhering bricks or concrete blocks to one another. Mortar is used as the binder between bricks in walls, fences, and walkways. Masonry steps are steps that are created using such masonry products as bricks, cement blocks, stone, or hollow tiles. Steps of this type are usually created by using mortar to bind the building elements into a cohesive and sturdy unit. 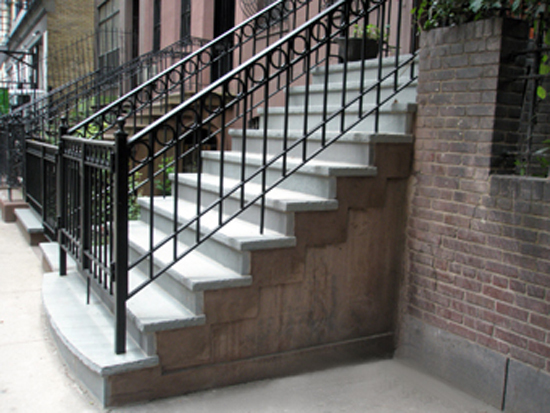 Masonry stairs and steps can be utilized as an exterior design element. Properly maintained, masonry can also last a very long time; masonry walls from the medieval era, for example, are still in use in parts of Europe, and the Great Wall of China is a particularly notable example of a masonry wall. Brick, stone, concrete block, and cultured stone can be used in the construction of a masonry wall. In dry stone masonry correct placement and design is crucial, as imbalance can pull a whole structure down. We also create elegant and functional fireplaces and fire pits for your outdoor enjoyment. 20 years of hands-on service dedicated to our clients' satisfaction. On site, on time, and on budget!